The Mitel Superset 4025 is ideal for users who require feature-rich telephony functions that can be modified to match their constantly changing needs or resource-intensive daily tasks. The Superset 4025 is designed to meet the needs of managers who are often travelling, away from their desk or participating in conference calls. Contact center agents also benefit from the Superset 4025 advanced feature set, providing them with advanced call control in response to incoming calls. 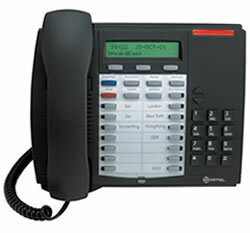 When you buy a Mitel Superset 4025 phone from Telephone Magic it comes with a 1-year warranty.